The teaser is very mysterious and dark, but subtle and without any action, gun shots or loud explosions. It opens with a shot of the destroyed MI6 building (which was partly blown up in SkyFall). Moneypenny then gives James Bond some "personal effects, retreived from SkyFall", his old home, which include a photo from his past showing what might be a young Bond in the mountains with either his father figure or guardian and a another young friend, maybe one of the characters which will grow up to be the character played by Christoph Waltz? On the table of what is probably Bond's new apartment with half unpacked boxes (see the Bond Lifestyle SPECTRE Guide for the address), where Moneypenny and Bond meet, we see a familiar item: the Royal Doulton Bulldog statue that Bond inherited from M in SkyFall. 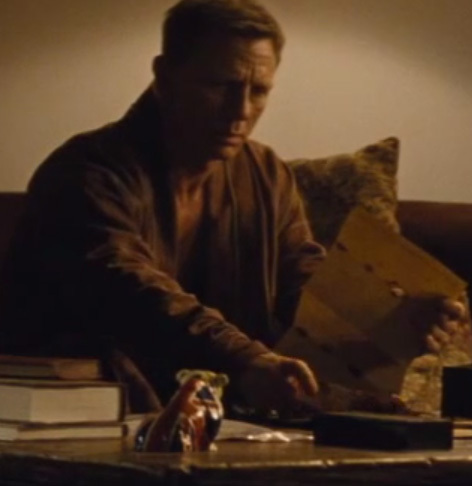 Bond is drinking 18 Year Old The Macallan whisky, the same brand he drank in SkyFall. We see Bond going on a hunt which leads him to the mountains of Austria, a funeral in Rome and a meeting of what might be the SPECTRE organisation, headed by the character played by Christoph Waltz. 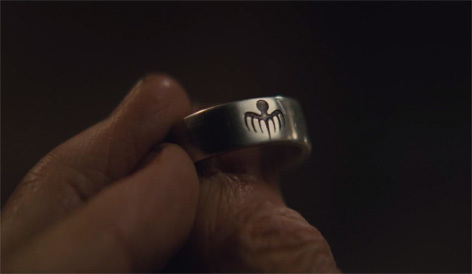 Bond presents a ring with the SPECTRE logo to Mr. White (played by Jesper Christensen), a character we also saw in Casino Royale (2006) and Quantum of Solace (2008) and who is part of the Quantum organisation. SPECTRE filming in Austria, UK and Italy took place from December until early March and the production is currently busy in Mexico filming the pre-title sequence. In February, the first behind the scenes videos were launched: the first vlog showed some beautiful scenes filmed in Austria and the second video focused on director Sam Mendes, again showing some scenes from Austria. For more details about some of the clothes, weapons and locations in Rome, check out the Guide to SPECTRE (spoiler warning). Wow, I want that ring. Any idea who produced them for the movie, and if any will be made available? 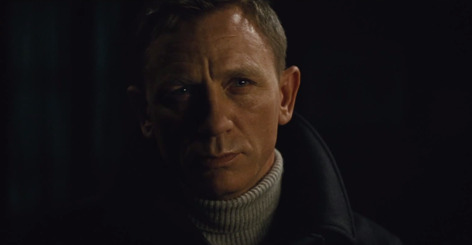 Which jacket is Bond wearing ? It's probably been noticed and said already but in Q's workshop in the new trailer , I'm sure there is a glimpse of two Aston martin , other than the DB10 . One is a current model by the looks of things and the other is a DB5 . Could Bond be having a favour done by Q branch of having a rebuild of his car after it was "written off"in Skyfall ?